A number of fatal road accidents involving motorbike riders are caused by not wearing headgear. There are a lot of reasons why riders do not wear helmets. They say helmets are heavy on the head, makes their head hot or gives them headache, or some would say they are not comfortable wearing them because they look ugly in it. If they find motorbike helmets heavy or bulky, they can always look for lighter helmets. 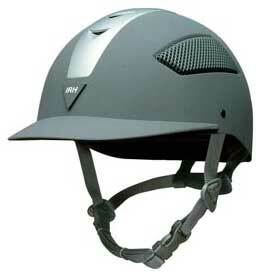 equestrian helmets are lighter and can provide better protection to riders especially the back of the head, but they are design for horse back riding. I have not seen a motorbike rider using equestrian helmet, have you? My husband, who drives a motorbike, prefers the lighter helmet designed for motorbike riders. This entry was posted in Safety and tagged equestrian helmet, helmet, horse rider, motorbike, motorbike rider on February 2, 2011 by Yami.